For over 30 plus years Ms. Lee has been immersed in the performing arts and education. She has trained, danced, coached, choreographed, directed and mentored students and dancers for classical and multi-disciplinary dance art forms for British Columbia, Ontario, Quebec, Arizona and Colorado and globally for individuals, schools and organizations since the 1970 and1980’s. Ms. Lee has now resided as Founder and Artistic Director of Debbie Lee Dance Academy and Company since 2006. She received her foundation training in British Columbia under Soonee Lee, Lynnette Kelly, Lin Yee Goh, Cho Chiat Goh and Che Chun. 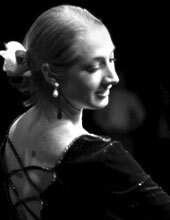 Upon her extensive training and studies in Vaganova and French pedagogy techniques and receiving her Royal Academy of Dancing Teaching Certificate in her early 20’s she continue her pursuit in dance training and professional experience for classical and contemporary dance under numerous independent professional artists across Canada and United States which has helped shape her accomplishments of today. 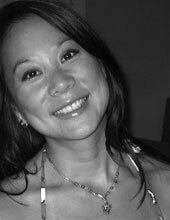 Ms. Lee is passionate about higher dance education and mentorship. Not only has she taught for numerous schools and organization across Canada and the lower mainland of BC, she also was the Founder and Artistic Director of Richmond Hill Academy of Dance, Uxbridge Academy of Dance and DDDance Productions of Ontario, Canada. She was the school director for Telluride Dance Academy – Telluride Society of the Performing Arts (The Joffrey Ballet of Chicago, summer residency) and the Artistic Director for the Yuma Ballet Theatre Company of Arizona. Ms. Lee also had the privilege of accepting a faculty position from Jean-Philippe Malaty and Tom Mossbrucker with The School of Aspen SantaFe Ballet, the official school of Aspen Santa Fe Ballet Company, in Colorado where she spent four years as their school director. Upon retiring her position from Aspen, Colorado she continued to pursue her mentorship and coaching in countries and cities all over the globe where she has inspired students and dancers for the love of classical and contemporary arts. She has also served on The Dance Centre – The Vancouver Dance Centre Society board as one of their directors for four years. Upon her return to her hometown Vancouver in winter of 2004, Ms. Lee dedicates her tireless efforts and valuable experiences to Debbie Lee Dance Academy and Company where she shares her passion and arts education to inspire people of all ages and stages of their training. In addition to caring for the well being of each individual, she brings a unique awareness approach to the teachings of refined strong technical foundation and clean styles. She guides and illuminates each individual’s natural creative gift in a progressive, focused and safe environment for dancers of today. Many students that have trained with Ms. Lee are now with National Ballet of Canada, Royal Winnipeg Ballet School, Toronto Dance Theatre, Alonzo King Lines Ballet School, San Francisco Ballet, Gothenburg Ballet, Alvin Ailey Dance School, North Carolina School of the Arts, Interlochen Arts, Boston Ballet School, Washington Ballet School, Utah Ballet, Australia Ballet School, Royal Ballet School, Aspen SantaFe Ballet Company, Bolshoi Ballet Academy, New Jersey Ballet Company just to name a few. Ms. Lee continues to travel internationally where she makes artistic appearances as a guest artist and educator across the globe and attends annually teaching seminars to bring new and progressive dance education to her teachings and Debbie Lee Dance Academy/Company’s dance curriculum. Ms. Lee is devoted to her evolving school and company with much enthusiasm and fresh energy. Carol Mendes is a choreographer, dance filmmaker, and dance educator. A native of Brazil, she received her BFA in Dance and her Teaching Certificate from State University of Campinas (Brazil). She also holds a Master’s of Fine Arts in Dance Performance and Choreography from New York University, Tisch School of the Arts. Her choreography has been presented at La Mama, Joe’s Pub, Judson Church, Triskelion Arts, Martha Graham Studio Theater, Alvin Ailey Citigroup Theater, and at Dixon Place, among others. As a dance filmmaker, Carol has worked with the New York City Ballet Media Department as Production Assistant and Media Fellow. She co-directed and edited her own dance films screened in Brazil, Finland, US, Argentina, and France. She worked as the Production Director and Curator of WestFest Dance Festival in NYC, and she recently spent a year traveling all over the world. She was an artist in residence at Haihatus Art Center in Finland. She has also has participated in classes with Icelandic Dance Company, in Reykjavick. Carol recently received a scholarship to study the ORFF-SCHULWERK method at UNICAMP, in Brazil. She was the Production Director of the X EEMU (UNICAMP’s Music Education Encounter) and her newest Dance film project “Untranslatable” has premiered at Danca em Foco back in August 2017 in Brazil. Carol just moved to Vancouver, BC and she’s looking forward to sharing her passion for dance, art, and culture in our city. Carol is our new contemporary instructor and choreographer this season at Debbie Lee Dance Academy & Company. Welcome Carol. We are extremely excited to have new and fresh energy with your amazing talents! Al Mozaico Flamenco Dance Academy’s instructor, Andrea Williams is the force and the madness behind Raíces y Alas an innovative production exploring the traditional and contemporary sides of flamenco. She made her flamenco debut with Vancouver’s Al Mozaico Flamenco Dance Theatre in the 2004 production Espiritu sin Nombre and has since performed with the ensemble in the Vancouver International Dance Festival (2005, 2007, 2009), with the VSO, AMFDT’s 2005 production of Poemas de Alegria and the 2006, 2007, and 2010 productions of Café de Chinitas. 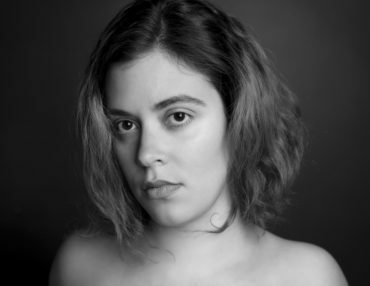 Andrea’s credits also extend to over a 300 performances in Vancouver & the Lower Mainland, Sechelt, 100 Mile House, and St. John’s, Newfoundland in collaboration with various groups, including Peña Bulería, Los Canasteros, Azafrán, Miembre Flamenco, Flamenco Alcala, Flores y Lunares & Winter Harp. She is also a frequent contributor to the flamenco community as the Francophone media spokesperson. Andrea has taught for our Senior and Junior Intensive Training Division. She has been a fantastic compliment to our programs and to our faculty. We are so proud to have the opportunity to collaborate with Al Mozaico Flamenco Dance Academy and their company along with Andrea Williams as our instructor for our Cultural Spanish Flamenco and Classico Dance Program.